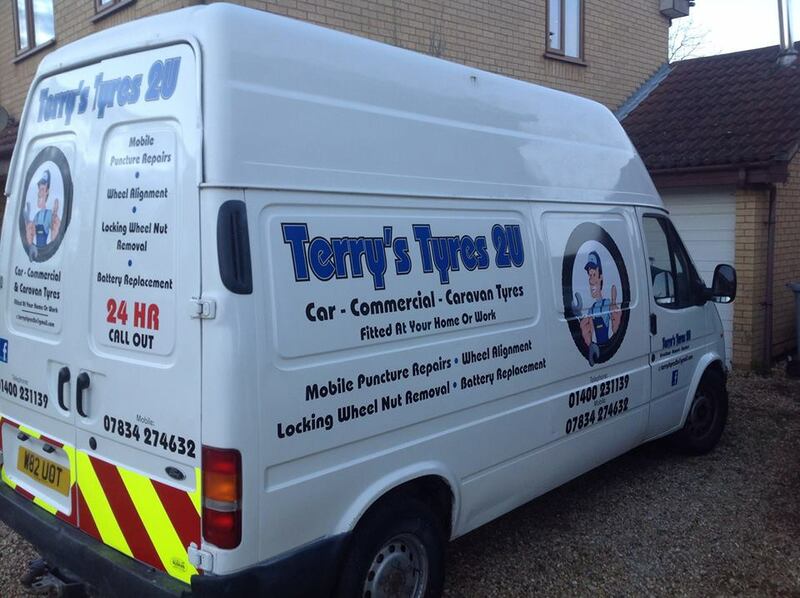 Terry's Tyres 2U brings 20 years of tyre fitting experience to you at Home or Work. Lots of savyy companies offer home visits to make our lives just that bit easier by saving us time and effort. Now you can even get your tyres changed at home or work with our new mobile service operating in and around Mid Lincolnshire. The business is owned by Terry Vangasse who lives in Ancaster and has 18 years of motor trade and tyre fitting experience. Terry's Tyres 2U offers a fully inclusive service that includes tyre fitting and balancing, new valves, eco tyre disposal and of course service with a smile. We have the latest equipment and can fit tyres up to 22" and all motorcycle tyres with no scratching or damage. Tyre Size eg "185/60 R 15"
"If you don't recommend us we have failed"
Copyright 2019 - Terry Vangasse & Terry's Tyres 2U All rights reserved. E & O.E.